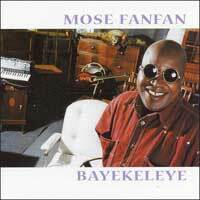 This is old school Congolese music, and that's the way I like it. Fan Fan returns with more of the same - rhythmic, throbbing and sweetly sung rumba-rooted African soul music of the highest order. Great horns, great guitars, fat bass and real human drums and percussion, with a smattering of extra sounds like accordion here and there. Keep your high-powered electro-soukous... just give me the groove. Highly recommended.